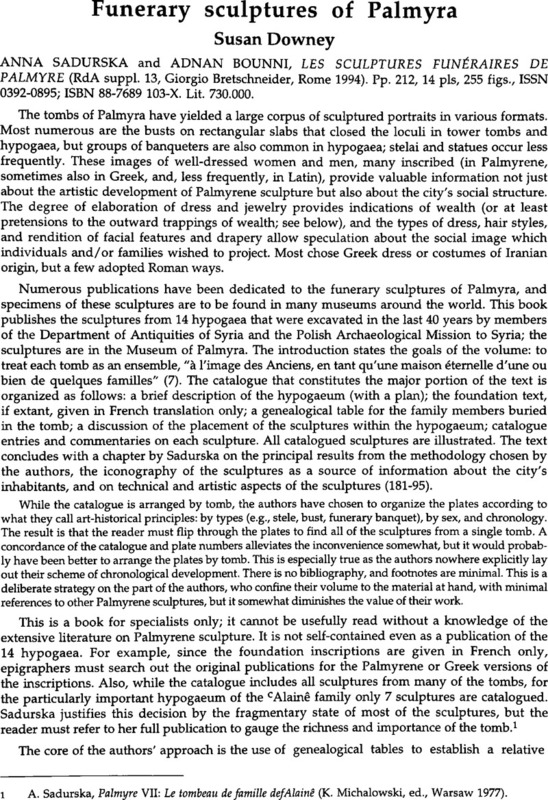 Funerary sculptures of Palmyra - ANNA SADURSKA AND ADNAN BOUNNI , LES SCULPTURES FUNÉRAIRES DE PALMYRE (RdA suppl. 13, Giorgio Bretschneider, Rome 1994). Pp. 212, 14 pls, 255 figs., ISSN 0392-0895; ISBN 88-7689 103-X. Lit. 730.000.